We have a few very happy fire departments this year so far. Kelley’s Island VFD, Southern Highland Joint Fire District and Freeport Community Volunteer Fire Department in Ohio. Kelley’s Island VFD - First AFG award ever and they have been very fortunate to receive some much needed PPE and Equipment that for a fire department that provides services for an Island is crucial. They will be able to purchase new turnout gear as well as a washer/dryer to keep their gear in good condition for many years. They will also be able to purchase new SCBA airpacks as well as a Fit Tester to make sure that they have properly fitted face pieces for each individual firefighter. The total cost of this grant came to $113,900.00. Congratulations to Kelley’s Island VFD. Southern Highland Joint Fire District - Will have the ability to properly monitor their EMS patients with the purchase of two (2) new heart monitors that were much needed. Each EMS unit will now have the proper equipment to monitor these heart patients. This much needed equipment will help to enhance the abilities of the fire department when responding to calls. Freeport Community Volunteer Fire Department- Although this grant may seem small, to this fire department that depends on community support, this is huge. With the award of this grant, Freeport VFD will be able to purchase much needed rescue equipment and hand tools that they would not have been able to purchase on their own. This equipment will only enhance their abilities and they greatly thank the AFG for this opportunity. The total cost of this grant comes to $8,200.00 but every penny is much appreciated. Congratulations Freeport! We are very proud to announce that a few of our clients have received SAFER 2012 funding for much needed positions. Teays Valley VFD - Located in Scott Depot, West Virginia, this all volunteer fire department has received funding from the SAFER 2012 Grant to completely overhaul their fire department. Once this planning is put in place, they will have been transformed from an all volunteer fire department to a combination part-time and paid on call fire department. This funding was much needed and could not come at a better time. Everything seems to be falling into place for this very fortunate fire department. The total amount of the grant came to $459,906.00 to staff the fire department 24 hours a day with two (2) full time positions per day by part time personnel. 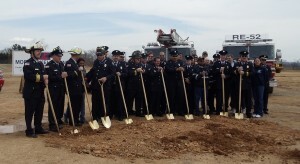 Congratulations Teays Valley VFD, or should I say Teays Valley FD now! Your hard work and dedication to this process has proven well worth it! Northeast Champaign - Located in North Lewisburg, Ohio, will be able to re-fill a position that was not able to be filled due to attrition. The amount of this award came to $73,018.00 to re-fill (1) Full Time Position. Congratulations Northeast Champaign County Fire District on this award as well as all their help in obtaining the necessary information needed to put this grant application together! 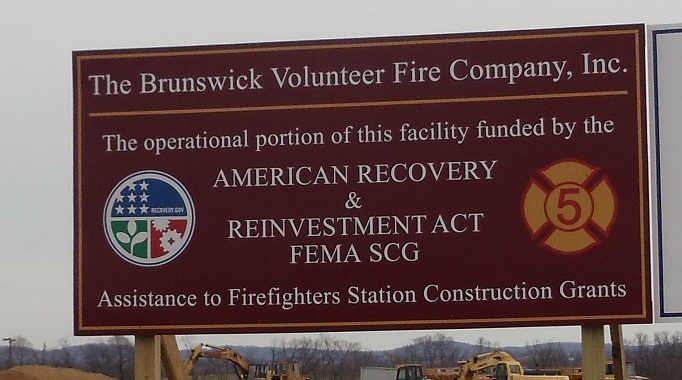 City of Bedford Division of Fire - It took a few years, but Bedford was finally able to secure funding through the SAFER 2012 Grant to re-fill (2) Full Time Firefighter positions after they had been vacated and not able to be filled due to attrition. This grant was much needed and the City as a whole is excited about this award. “Bringing our staffing level back up to what is needed will greatly help the community and our public safety as a whole.” stated Shawn Solar of Bedford Fire Department. The total award package for this grant came to $359,036.00 to re-fill (2) Full Time Firefighter positions. Congratulations Beford. Thanks for hanging in there and a special thanks to Shawn Solar for all his help in obtaining this funding for his fire department. Canton Township Receives Another AFG Grant this year! Canton Township Fire Department located in Canton Township, Stark County, Ohio was recently awarded an AFG Operations and Safety Grant for PPE and Communications Equipment for 3/4 of a million dollars. Congratulations to the Canton Township Fire Department for their trust in our company for assisting them in accomplishing their goals. SAFER Grant Opening Soon! Now is the time to prepare! Just as quickly as the AFG closed, the SAFER Grant Application period is fast approaching. Now is the time to contact us if your department is interested. Areas that can be address are hiring, re-hiring as well as recruitment and retention. This, of course, is dependent upon the final authorization and approval from the federal government. Preparation is the key to a successful application. The SAFER is available for submission to volunteer, combination as well as full time fire departments. It is anticipated that the funding will be at an all time record high for these programs. Please contact us now if you are interested, as this is a very detailed application and necessary information must be gathered as soon as possible. Also keep in mind that the Fire Prevention Grant will be forthcoming as well. Now is the time to gather your ideas for a successful program. Thank you for your continued dedication to the fire service and we look forward to helping you to obtain your goals. AFG a Great Success this year! Good Luck to all who applied. This years AFG Grant application encountered some new formats, guidelines as well as a few extensions due to the disasters associated with the Wildland Fires down south, the earthquake on the east coast as well as the hurricane that ravaged the east coast as well. Even with all of these disasters hitting in a short period of time, applications were still able to be submitted thanks to the two extensions that FEMA enacted towards the end of the AFG period. These extension gave those areas time to submit their applications but also allowed other departments who simply did not have the time to file applications as well. Our company was able to help prepare and submit 135 applications which included vehicles, equipment, communications, as well as two major regionals which included SCBA as well as communications equipment for a whole county which consisted of 13 departments. Good luck to all of the departments who were able to submit their applications as well as to our clients who trusted our company in helping to prepare their grants. In all reality, we could not do what we do without the help and dedication of our departments in getting us the needed information. So for that, Gatchell Grant Resources greatly thanks you for your help in making our company a success. Congratulations to Canton Township Fire Department and Warrensville Heights Fire Department on being awarded SAFER Grants for much needed funds. Canton Township was awarded approxiately $250,000 to fill 3 full time positions. This was much needed for the department to become compliant with current NFPA standards on having four men on scene on initial arriving fire apparatus. Warrensville Heights Fire Department had to lay off 6 full time firefighters due to budget constraints. Thanks to the AFG SAFER grant, all 6 of these full time firefighters have their jobs back. The grant was for approximately $1.4 Million dollars. Congratulations to these departments and all the other departments that were awarded SAFER Grants that much needed them.